I want an RX Emergency Two to use with my 302, but can't justify the $200 cost. 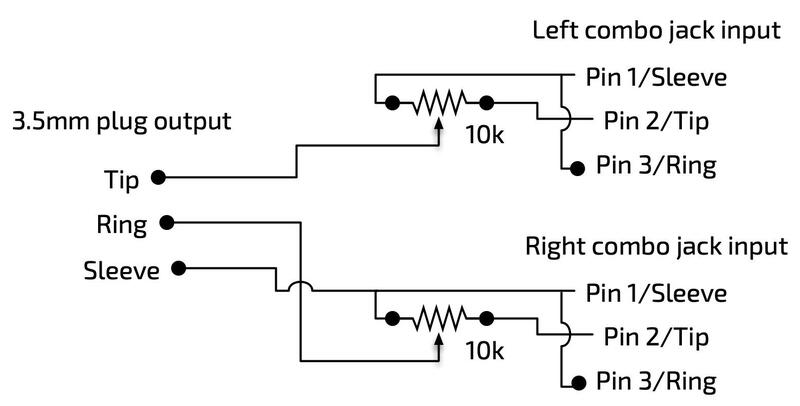 I looked at the tech notes from Sound Devices about connecting to the mix in, but don't know how a variable resistor will interact with the resistor network they recommend. I decided to compromise and build inputs that would connect to the camera returns; this way my controls are "faders" and the trims on the 302 are "gains". Plus I can change the channel 4/5 signal routing in the 302 and not have to add external switches. Works great, and I think it cost $40 and 90 minutes of work! Way cool. For many years I used a 302 as a 5 input mixer all the time with a similar gag. 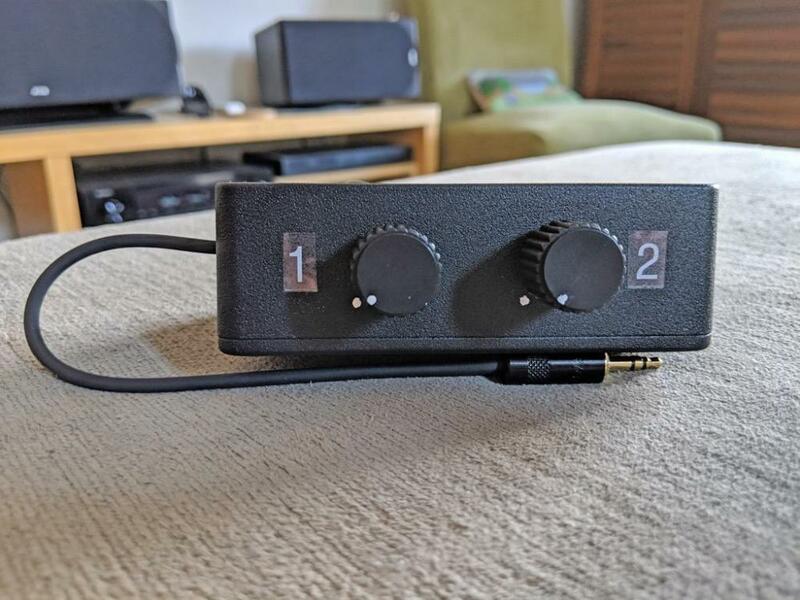 I made a box with captive cables with right angle XLR-F ends to use with two RX that fed the 302 "return" jack configured as two extra inputs (using the little side-mounted controls as rough trims), and with just simple audio taper pots for attentuation of the line level signals from the RX. In the same box I added my own camera return switcher, that looked at the camera output or at the headphone jack of the mixer, with settings L/R/stereo/off, thus my headphones plugged into this box for monitoring. All in a box less than 1x1x3". I was pretty darn proud of myself, and used that thing until I stopped hardwiring to cameras and retired the 302. Yours is more kosher than mine re: resistors, but for use with wireless RX outputs exclusively I never had an issue. This is a great illustration of how deep the venerable 302 is--amazingly powerful while being so small. Thanks! I really enjoy building problem solvers. 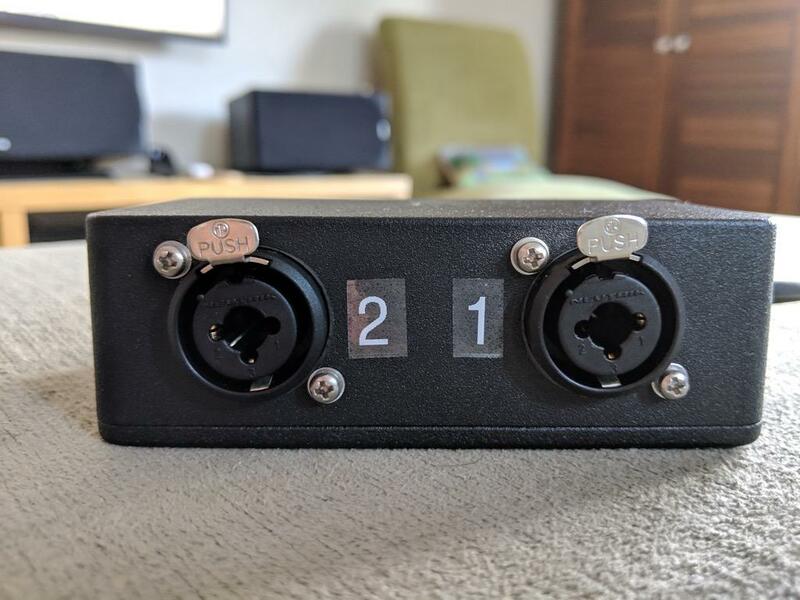 I just built an RF remote for my partner's video switcher so he can cut to cameras from anywhere in the room, based on an Arduino acting as a USB keyboard emulator. Your rig sounds pretty sweet! I originally picked up the 302 for wireless booming, but I think it'll mostly be a submixer and (may I never have to use it this way) drop dead backup mixer. Great investment for $350! Guy I bought it from upgraded to a MixPre 6 from the 302 and a Zoom H4 and "didn't need it anymore." Back when it was my main axe, I was very happy that I could do so much in such a small lightweight package (with my add-on box), instead of using a much bigger and heavier 442. These days the 302 is a very handy thing to have in the shop, for testing etc, and is a great hail-Mary box to have on hand for music gigs or as the front end for a prosumer computer interface.